Lieutenant Colonel W A B Chappell Born 30 June 1925, died 21 December 1999 aged 74. Bill Chappel was a truly regimental officer whose main motivation was "service not self'. The well-being of his soldiers and the maintenance of the Corps' high reputation for military support and efficiency were his primary concerns. William Arthur Brian Chappel was the son of Major General B H Chappel DSO— of the Indian Army. Bill was one of several Marlburians who, in October 1943, joined a Cambridge University short course. A contemporary writes that he was a popular member of the course with his cheerful forthright manner and outspoken attitude. Basic training at Colchester and Clitheroe was followed by OCTU at Newark and a commission in April 1945. Bill immediately volunteered for parachute training and joined 591 Airborne Squadron just before they flew to Norway where their main task was the supervision of German prisoners clearing their land mines. In February 1946 Bill was posted to join 9 Airborne Squadron in Palestine. Six months later the CRE brought him into his HQ as his field engineer. He soon became a popular officer in the divisional HQ and in its sapper units. In May 1947, in the run down of units in Palestine, Bill joined 3 Airborne Squadron in England and moved with 2 Parachute Brigade to Schleswig-Holstein. 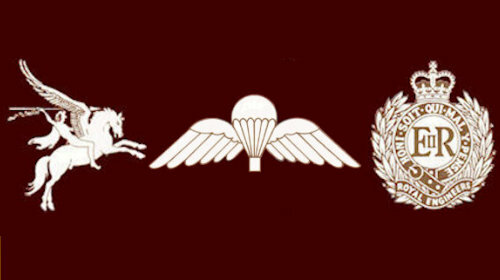 The brigade was later transferred to the Hanover area and 3 Airborne Squadron moved to Hameln taking the number of the oldest of the division's pre-war units: 9 Independent Airborne Squadron. 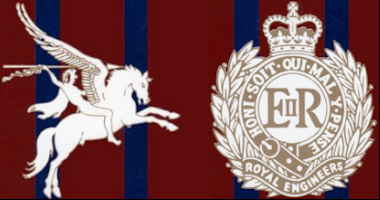 As a troop captain Bill greatly helped 9 Squadron, then the only all-regular soldier unit in the army, build its present reputation. He was the fly half in the squadron rugger team, which won the BAOR major units cup and won through to the final of the UK and BAOR Army Cups; the first minor unit ever to do so. He was much liked and respected by his troop who responded well to his sometimes extravagant demonstrations of their, and others', military shortcomings. Bill's final appointments were with HQ Engineer Support Group in Woolwich and in London from 1971 to 1977 as a lieutenant colonel deputy inspector. On leaving the army he joined Halcrow Engineer Consultants as an administrator. The chairman writes that the success of the organisation when it combined with Balfour for a massive job in Saudi Arabia, which entailed the bringing together of a staff of 300, was largely due to Bill's persistence, hard work, attention to detail and good humour. He retired from Halcrow in 1990 after heart trouble for which he had to have a bypass operation. He later had a stroke, which badly affected his eyesight, but he bravely coped and overcame the problems, although he had to give up driving. Sheila, their two sons and six grandchildren survive him.